Do Your team need extra ice time? Come and practice in our club arena! 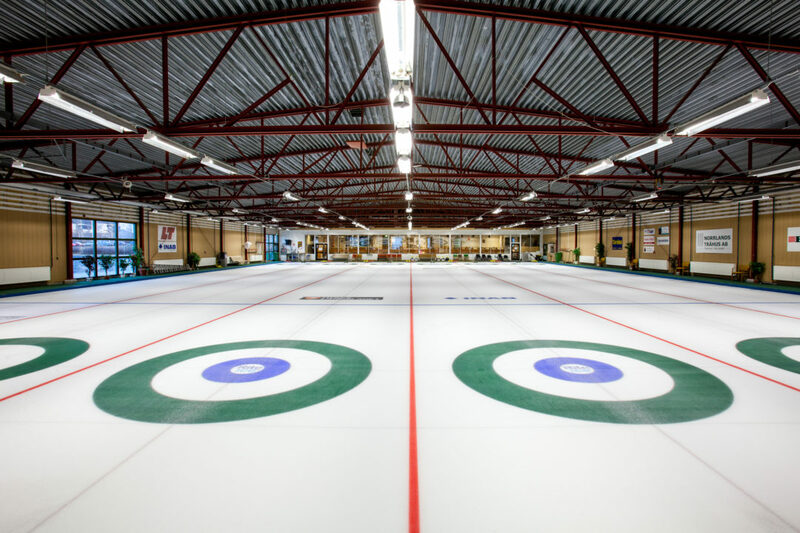 Our club arena has six sheets (360° tour from 2014) and has recently undergone some technical upgrades, the most notable are a Munters ML-23 dehumidification system during 2015 and delivery of 96 new “olympic” stones from Kays of Scotland 2016. Practice in our club arena @ SEK 600:- / sheet / team / hour. Note! All practice has to be prepaid (30 days in advance) and cancellations is not refundable. Get in contact with marknad@ostersundscurling.se to make Your booking. Östersund Curling Club arena was built 1983 and have been “home arena” for some world famous curlers. 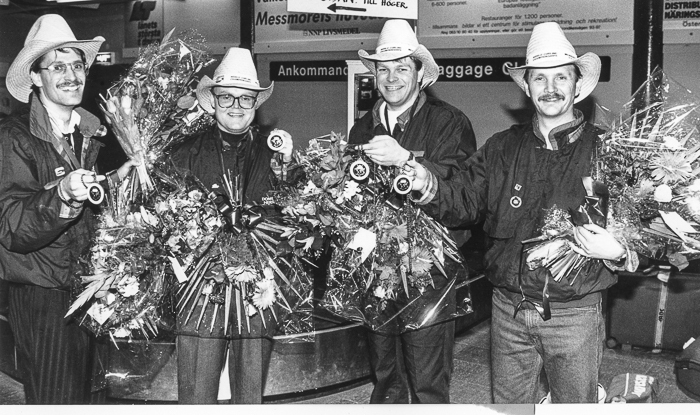 Head coach of Swedish Curling Association Peja Lindholm and his team started their career playing outdoors. And when the club built this arena, which was one of the largest in northern Europe back then, they got fantastic training conditions compared to outdoors. Pejas team won one WJCC title in 1989 and three WMCC titles 1997, 2001 and 2004. Another famous curler who has trained a lot in this arena is Cathrine Lindahl (Norberg). Living in Östersund and part of her sister Anette Norbergs successful team that won two straight olympic gold medals in 2006 and 2010. Catherine has a lot of other titles too, WWCC 2005, 2006 and six ECC titles 2001-2007. 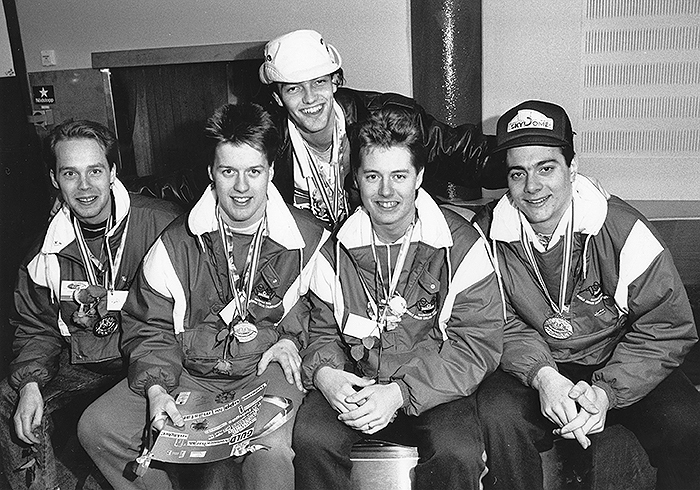 Team Nässén, with Mikael Ljungberg, Anders Lööf, skip Janne Nässén and Peter Cedervall ended up with a bronze medal in WMCC 1989 in Milwaukee and a silver medal in Oberstdorf 1994. 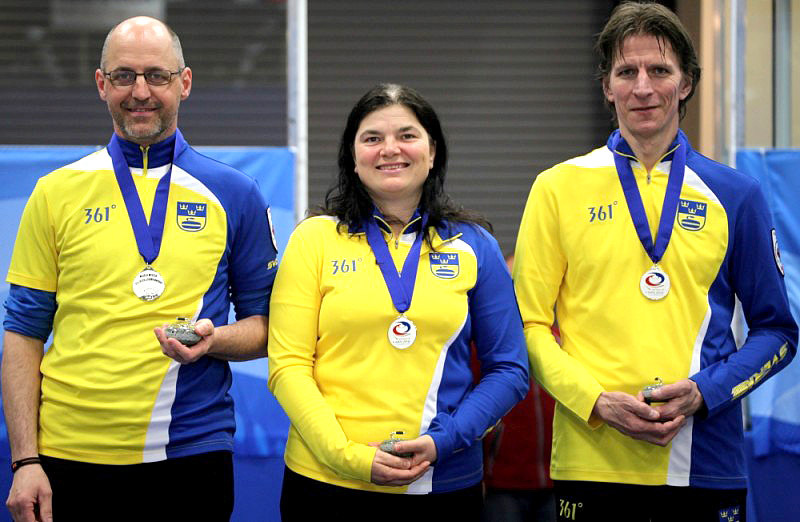 Elisabeth Norredahl (Hansson), was a successful junior curler when the club arena was officially opened in 1983 and she have had a long career playing in World Juniors 1988, the Worlds 1990 and won silver medal in Mixed Doubles 2013 and silver medal in European Mixed Curling Championships 2012. The Hallström brothers, Fredrik and Rickard. Have also had long careers as athletes with medals in Europeans and Mixed but also as national team coaches. 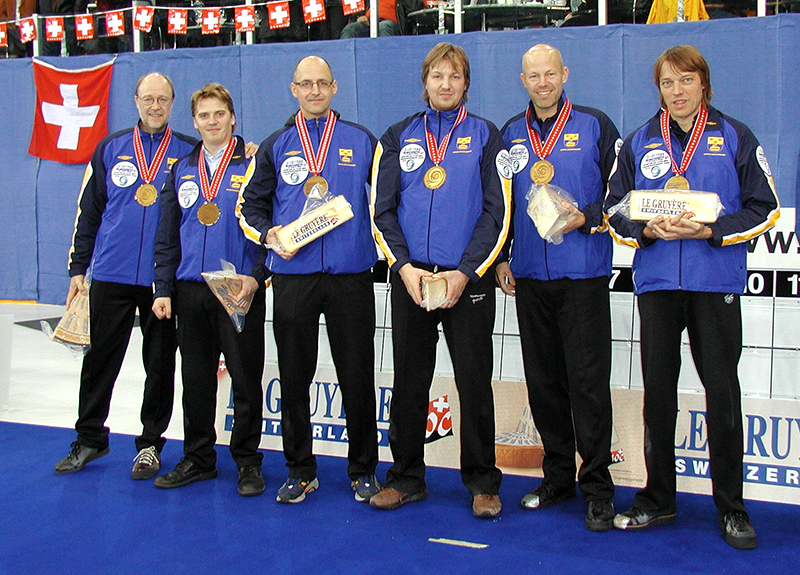 Rickard and Fredrik Hallström, ECC silver.